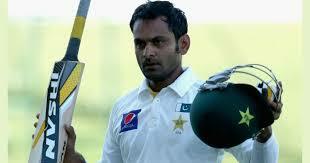 Abu Dhabi, The all rounder of National Cricket team, Muhammad Hafeez got the retirement from the test cricket. 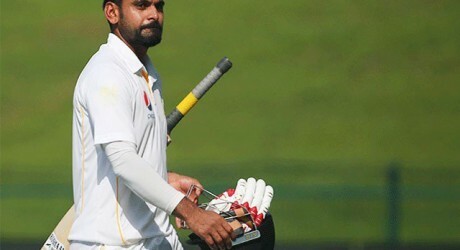 Muhammad Hafeez made the century in the first test match against Australia in UAE in the tour to UAE against Australia but after that he failed to score big in any test match. He also played three test matches against New Zealand in the current series but he remained failed in scoring big runs. He knew his performance so he decided to get the retirement from the test cricket. During his career in the test cricket, he played 55 test matches and he scored 3644 runs and he made 10 centuries and 12 fifties. 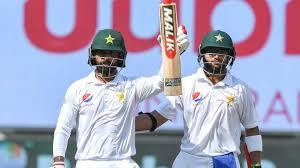 The present test match against New Zealand is the last test match of Muhammad Hafeez and he will come in the ground for the last time to bat. After ending of the play of the second day of the third test match of the current series in Abu Dhabi, he talked with media and said that he tried his best to perform for the national team for last 15 years. He thanked PCB and the colleague cricketers, which supported him and appreciated him as they forgave his mistakes. He also thanked his family, who supported him. He said that he wanted to represent Pakistan in other formats of cricket.